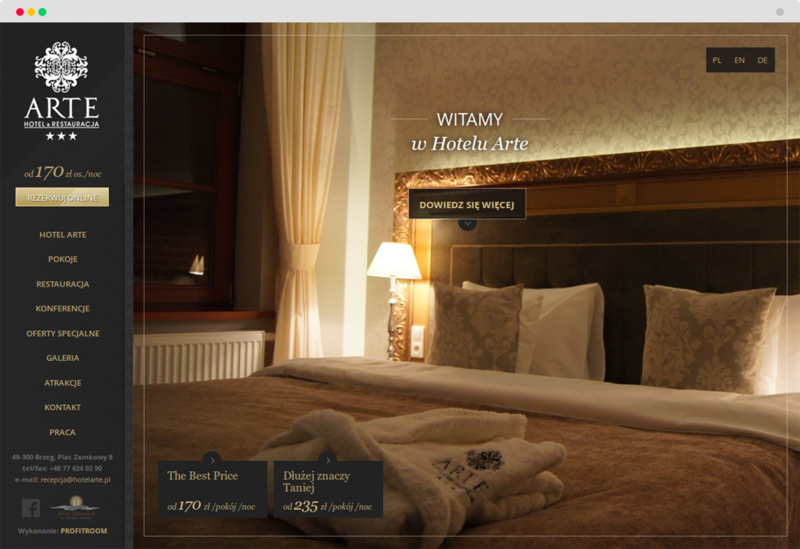 A design of a cameral hotel website in Brzeg, Poland. The colour palette is dark and elegant to highlight the artistic atmosphere of the hotel. Large photographs in the background show the values of that place and the booking incentive is located where the user’s eyes go most often – right under the logo. The design was created in cooperation with Profitroom.